You have spent your early training focusing on close combat techniques and mob combat. At 3rd level, when you choose this archetype, your unarmed strikes are considered light weapons and you may add your Strength modifier to unarmed strikes made as a bonus action. Your bonus Sneak Attack damage may be used with your unarmed strikes, as well as any one-handed melee weapon you are proficient with. In exchange for the time and effort training in close combat, you no longer gain Sneak Attack damage when using ranged weapons. At 9th level, you add your Strength modifier to your Charisma modifier when making Intimidate checks. In addition, you may use the bonus action granted by your Cunning Action to make an Intimidate check. At 13th level, when you successfully hit a target no more than one size larger than you with an unarmed strike, you force the target to make a Constitution saving throw (DC 8+your proficiency modifier + your Strength modifier). On a failed save, the target becomes stunned until the end of your next turn. Whether or not the save is successful, the target becomes aware of your trickery and is immune to this ability for 24 hours. 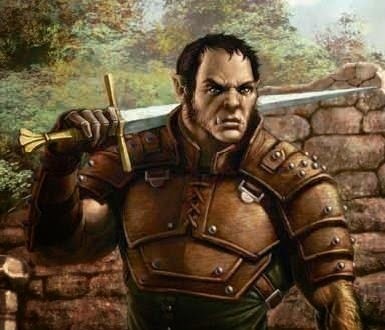 At 17th level, you gain your Sneak Attack damage on the first attack you make against an opponent you have successfully intimidated (skill contest determined by your DM, typically Intimidate vs Intimidate or Intimidate vs Wisdom), as long as that attack comes within 1 round of the intimidation. You may use this ability a number of times per day equal to your Charisma modifier. Actually quite interesting in terms of mechanics and quite flavorful too! Thank you. I hope you enjoy it. If you bring it to your table, please let me know any feedback you might have so I can make the build even better. Hoping to get to use this. Will let you know how/when any adjustments I see are needed. Looks perfect from the top though. Sweet. I so want to sneak attack people with a Lance!